Tickets are Now On Sale for ‘Straight Outta Brooklyn’, an outstanding evening of professional boxing on Saturday, April 28 at Barclays Center in Brooklyn, NY and televised live on HBO World Championship Boxing beginning at 10:00 p.m. ET/PT. Presented by Matchroom Boxing USA, tickets starting at $42 may be purchased by visiting Ticketmaster.com, BarclaysCenter.com, or calling 800-745-3000. Tickets for the event can also be purchased at the American Express Box Office at Barclays Center. For information on group sales, call 844.255.9647. 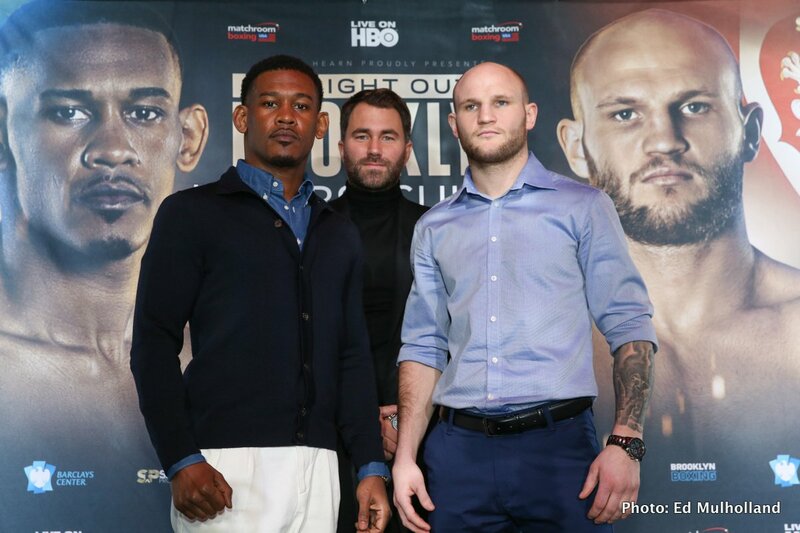 Headlining the event, former Middleweight World Champion and BROOKLYN BOXING Ambassador DANIEL JACOBS, (33-2-0, 29 KO’s), returns for a 12-round middleweight showdown against undefeated world ranked Polish contender MACIEJ SULECKI, (26-0-0, 10 KO’s). Also returning to Barclays Center on the non-televised portion, WBA Lightweight Women’s World Champion KATIE TAYLOR, (8-0-0, 4 KO’s) of Bray, Ireland will fight in a 10-round world title unification against IBF Lightweight Women’s Champion VICTORIA BUSTOS, (18-4-0), of Rosario, Argentina.